An online news report suggests that humans may be primed to believe in creation. 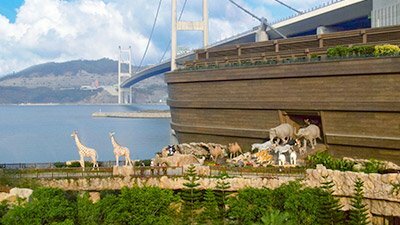 The world's only full-size replica of Noah's Ark opened it's doors last May in Hong Kong. When a leading physician at a Japanese university discovered suspicious results, he turned to a company in the U.S., headed by a creationist. Homology is real, but there is a difference between how creationists and evolutionists view biological homology. A new BBC movie highlights the tension between evolution and religion. While scientists are fallible like anyone else, research would improve if it were built on biblical ethics and the truth of God's Word. No results found in Culture News. When it comes to God’s marvelous creation, nothing compares to the amazing design of the human body. 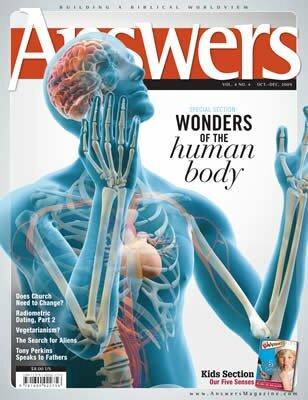 From the protective garment of skin to the engineering of our bones and new discoveries about our brain, this issue is packed with testimony to the Master Designer.